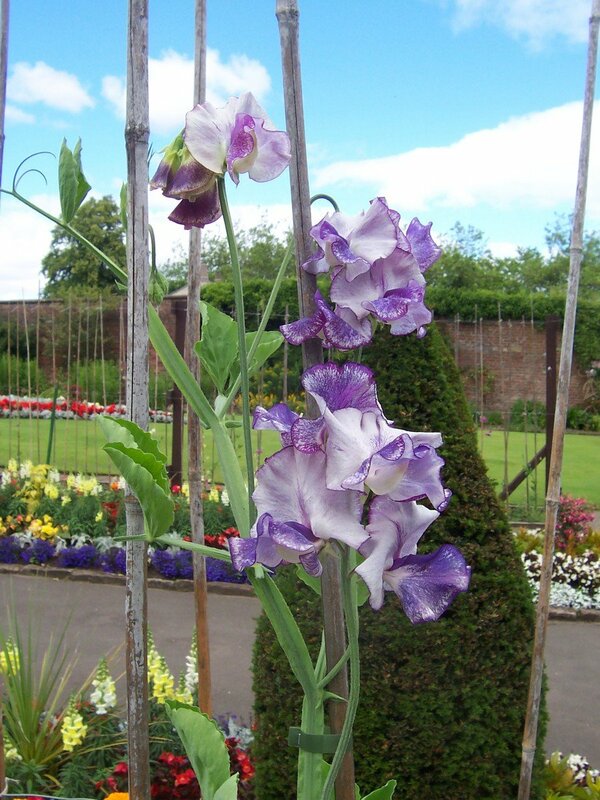 As well as being easy to sow, easy to grow and easy to care for, sweet peas are also particularly pleasing to the eye. More and more people have discovered the intrinsic beauty of the sweet pea (Lathyrus odoratus) in recent years, and it’s so easy to see why. If you sow them now in early spring, you can look forward to several months of picturesque splendour and delicious fragrances. Growing sweet peas is perhaps one of the easiest tasks in any garden. They can be sown directly into plant pots or straight into soil if you prefer, and they respond particularly well in a good quality compost. Plant them around a centimetre below the surface then water them well from then on. After that, you’re done! Just watch them grow, then get ready to enjoy these wonderful flowers. Lathyrus Valerie Harrod – deep pink with a touch of white at the base, Lathyrus Valerie Harrod has a long stem and a wonderfully strong scent. Works well particularly out in the open in flower beds. Lathyrus Mollie Rilstone – Delightfully old-fashioned with a highly attractive pale pink edging, it has pinnate leaves that end in a tendril. Lathyrus Jilly – A showy flower that offers large ivory white blooms that bring a lovely sweet fragrace, Lathyrus Jilly looks extremely pretty when climbing on fencing or on a trellis. Lathyrus Charlie’s Angel – Long-lasting in the vase and easy to grow in the garden, Lathyrus Charlie’s Angel grows to a gorgeous pale blue shade. Strong stems help it grow to a significant height. Lathyrus Nimbus – A striking and moody look gives Lathyrus Nimbus a very distinctive appearance. The midnight purple veins bring an inky, swirling look that adds to the colour of any garden. All these varieties of sweet pea seeds can be found at Chiltern Seeds, Mr Fothergill’s Seeds and Thompson Morgan. They’re inexpensive, and they can go on to produce flowers for the vases in your home for many months. Brown Earth Landscapes are based in Perth and Kinross, and we provide Scotland landscaping solutions for both domestic and commercial customers. Contact us today on 01250 884 342 to find out more.